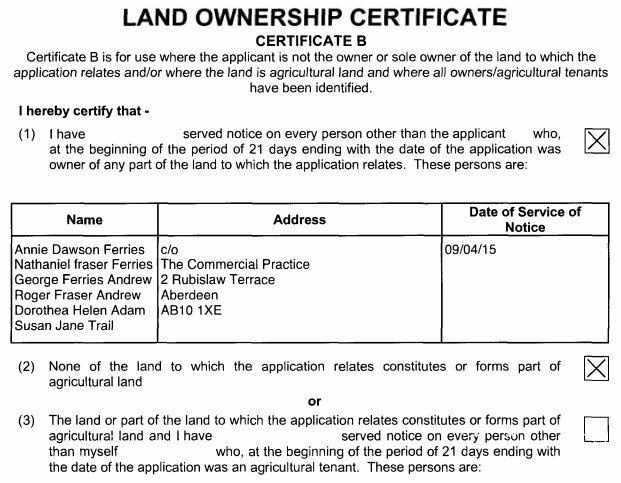 The ‘Arb Site Observation Report’ submitted is acceptable and has clear recommendations which should be followed. It is unfortunate that the arb expert carrying out this additional work does not appear to have had a copy of the original tree survey to hand. 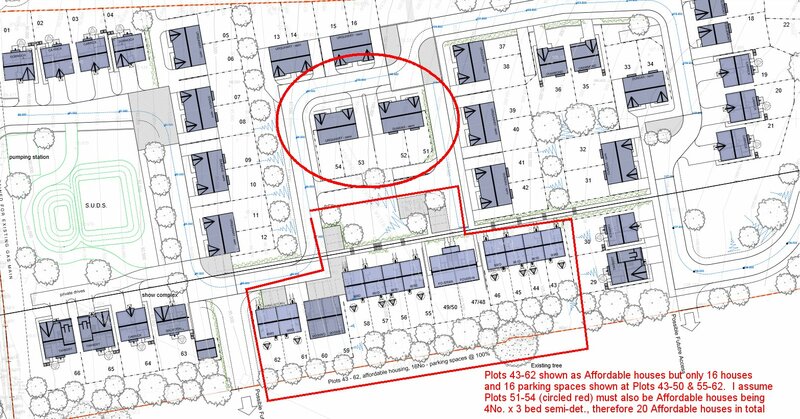 It is still unclear, therefore, whether all trees marked for retention have actually been retained on site and I would suggest that the original arb consultant is asked to check this and also to ensure that other recommendations from the Site Observation Report are carried out in full and urgently. The larch tree that cannot be retained may be number 45 which was marked for removal but this needs to be confirmed as does the status of all other trees 40-44 and 46 along this boundary that were marked for retention. Tree damage & felling in north east corner of site outwith approved plan. Urgent tree survey report requested. Enforcement action being taken. Including Illumination at Bogbeth Road, To East Of Greystone Road, Kemnay. 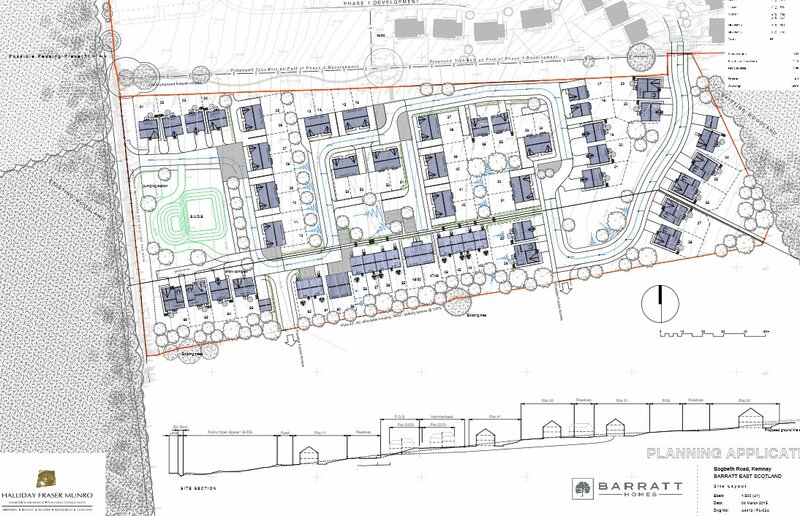 Barratt North Scotland. 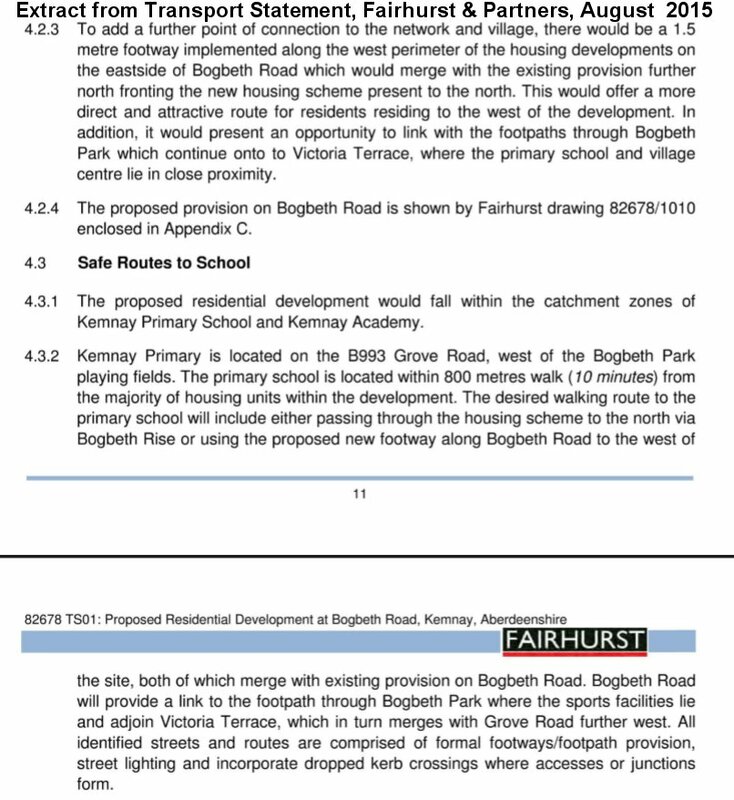 It would appear that there are no proposals to widen Bogbeth Road other than an indicated “possible” passing place as shown on my plan and no proposals to provide any footpaths along Bogbeth Road. 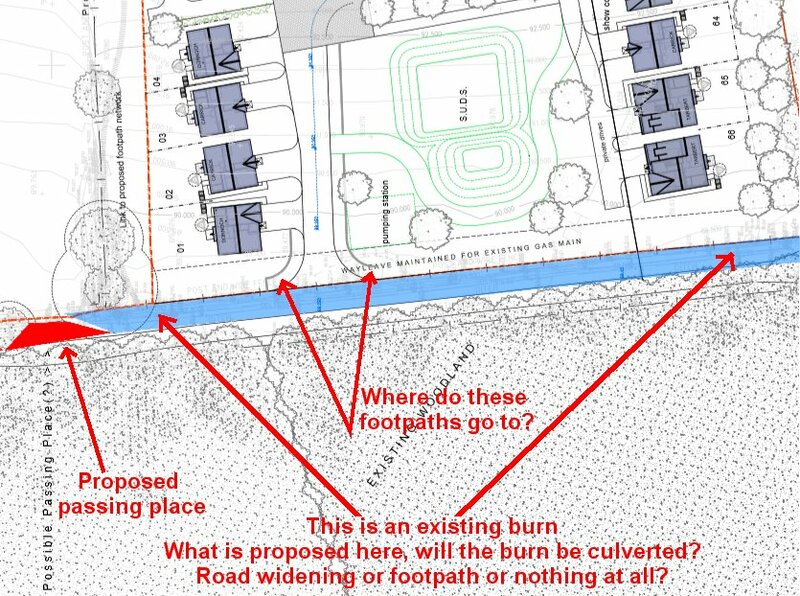 I have shaded the line of the existing burn blue, there are no indications of any proposals for this area, certainly no proposals to culvert and provide a footpath above. 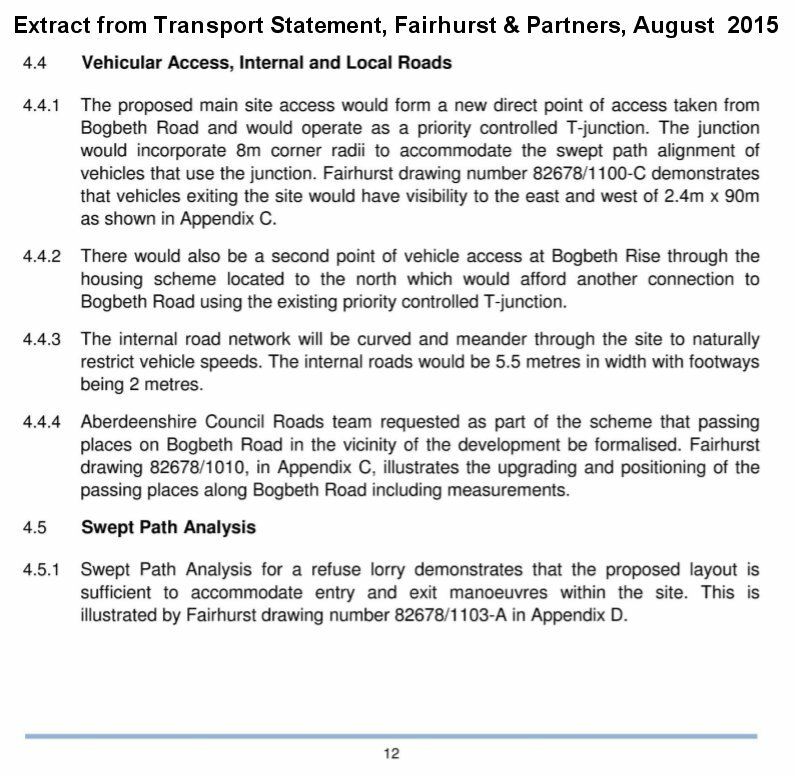 PLEASE READ THE DESIGN & ACCESS STATEMENT, 4.5 states that pedestrian links are provided to the unclassified Bogbeth Road but makes no mention of along Bogbeth Road so one must assume that the footpath will just lead on to Bogbeth Road and pedestrians and children and wheelchair users just use the road? 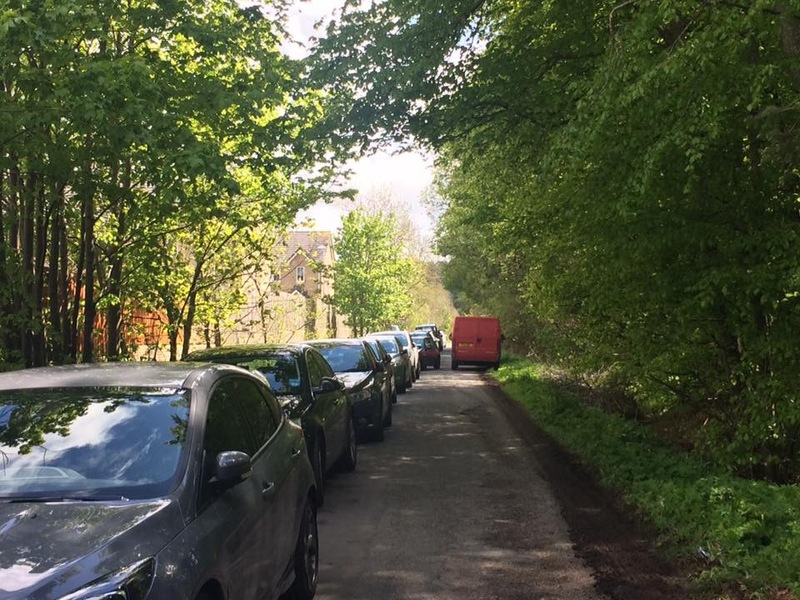 Given photographic evidence of parking problems, should Barratt be widening Bogbeth road and providing safe footpaths for children and pedestrians? Why wasn’t a similar approach used in 2014? Why wasn’t the Community Council informed at least as a courtesy and they could have publicised it on the website. If the Developers had truly wanted publicise the event and encourage community input why wasn’t it advertised in the Newsletter which reaches every household? The Inverurie Herald is a weekly newspaper published on Thursday and the event took place on the following Wednesday, which is a very inefficient publicity timeline. Records indicate that Friendship Room was booked but the purpose for booking the room was NOT disclosed or advertised, which is very strange given that the purpose was “Community Consultation? It is hardly surprising that turnout was low given that it was mid week, Wednesday afternoon and early evening in February, it gets dark circa 4.00 pm, people wouldn’t see the posters, parents are collecting children from school or commuting home from work, no wonder turn out was low, why wasn’t the presentation on a Saturday? The event was poorly planned and the resultant poor turnout was a result of poor communications by the Developer either by design or inept organisation. The Community Council were effectively snubbed, which is contrary to the “spirit” of “community consultation” process. 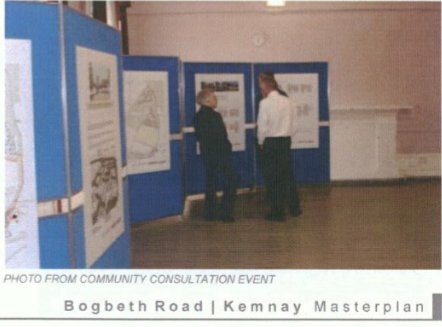 Why couldn’t the Developer at the very least sent a copy of the pdf “Masterplan” file to the Community Council either by post or email, as a courtesy? 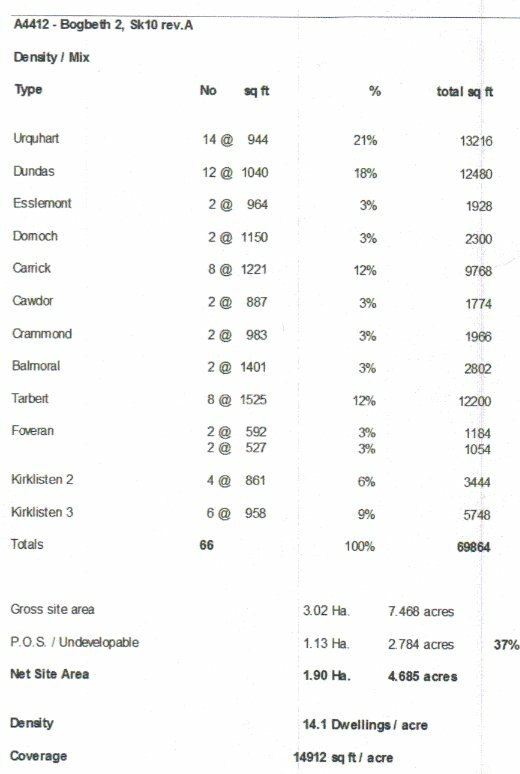 In effect the consultation exercise has little or no credibility, see Kemnay Community Council letter to Head of Planning dated 18 May 2015, below..